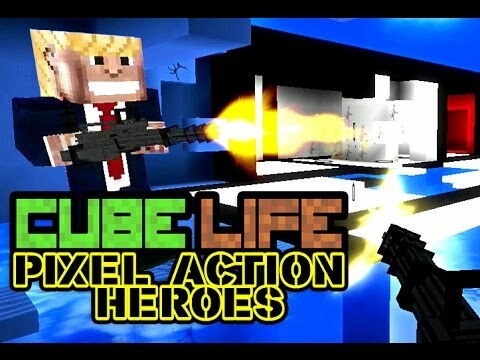 Cube Life: Pixel Action Heroes is a complex shooting game for Wii U. 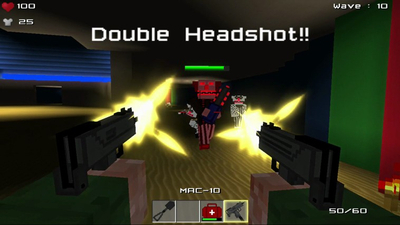 Play as an iconic action hero from the 80s in a fully destructible block-building world. Become an FPS level designer! Create your own map, share with friends, let them try it out, and get their feedback. In the end Pixel Action Heroes has some fairly solid gameplay. With Online matches it certainly is worth the $4.99 price tag. 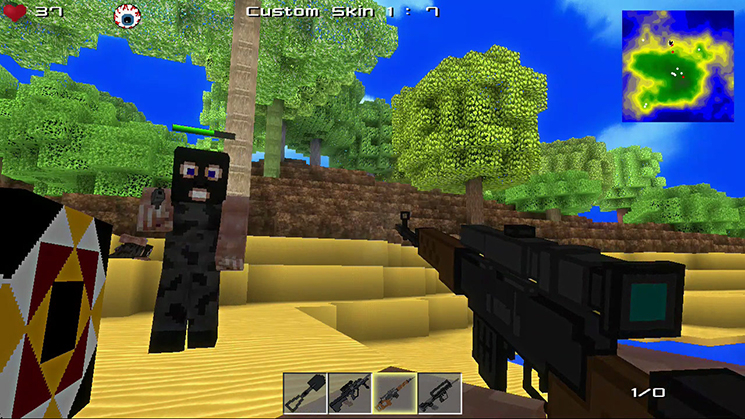 It has a bit of everything for everyone, if creativity is your thing you can create maps to battle on. If classic deathmatches are your thing it has those too. If you're looking for a crazy soccer alternative there is that too. As fun as the sandbox mode is, the single-player side of the game is a bit boring. If there was an extra mode or more maps to play in, there would be some much-needed variety, but at least the multiplayer mode against other humans does increase the replay value. So if you're a creative individual and like the look and feel of this voxel game, then its $4.99 price can make it worth it to you. 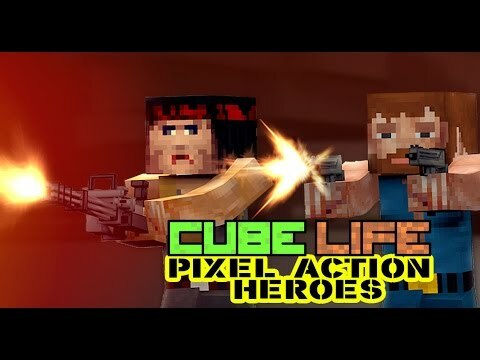 With Minecraft available on both Wii U and Nintendo Switch, it's difficult to work out where exactly Cube Life: Pixel Action Heroes belongs on the Wii U eShop. It tries to do too much and doesn't succeed immensely at any of it, making it little more than a watered-down clone with little lasting appeal for anyone outside of those wanting a local multiplayer shooter - and, even then, it's lacking.